Libraries are marvellous places. It’s a cliché to say it, but clichés happen to be true. With little funding at their disposal, they have evolved to become vibrant reading emporiums, where people can access not just dusty books but a whole range of facilities, including creative writing workshops. I’ve just begun a series of three workshops in libraries in Waterford in South East Ireland. They’re for National Literacy Week and Positive Ageing Week. I delivered my first one last Thursday. It lasted three hours and aimed to give a gentle introduction to the world of creative writing. Four brave souls turned up, and I eased them into the session with a few icebreaking exercises. 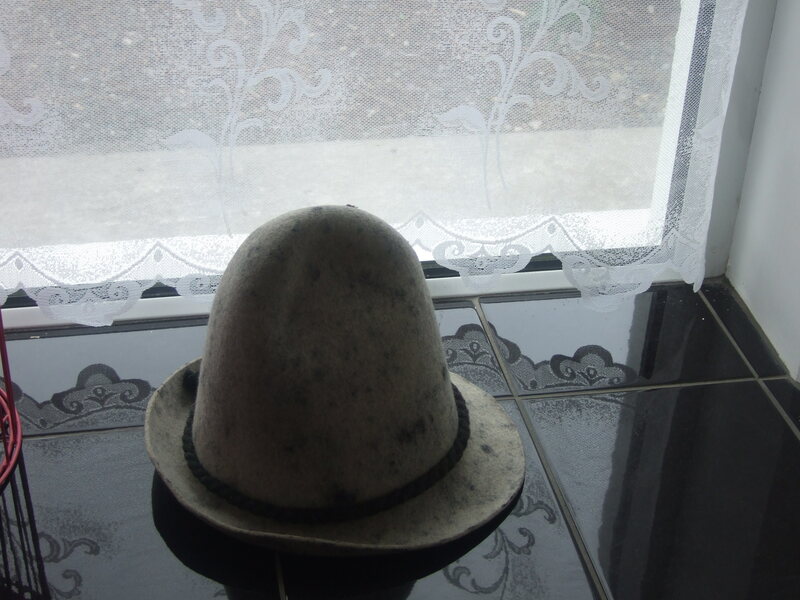 I showed them my highly fashionable Bavarian hat, now a feature of my creative writing workshops, and asked them to write a sentence describing it. They introduce themselves by pairing their names with the name of an animal, which shared the first letter of their name e.g. Derbhile the Dolphin. Finally, I fried their heads a little by asking them to come up with 26 words to match the 26 letters of the alphabet and writing a little story featuring their three favourite words from the list. Now the participants were starting to loosen up, it was time for them to tap into their senses. Stimulating the senses evokes strong emotions and memories, and encourages you to come up with more vivid descriptions. The participants told the life stories of curious objects, using the look and texture of the objects to give them ideas. Then they ate oranges, not out of any great desire to be nutritious, but because oranges work all five of your sentences. They described the experience of eating the orange, through its look, feel, sound, taste and smell. The word squishy features heavily. I then extended the exercise and had them write a powerful food memory, of oranges or any other food that came to mind. Next came arguably the most important part of the workshop – the break. I’m not being facetious. The break gives participants a chance to relax and get to know each other, and when they feel comfortable with each other, they’ll take more risks with their writing. The library once more proved its excellence when its staff provided tea and biscuits, even though they were under no obligation to do so. Now the participants were fortified, it was time to get down to the serious business with storytelling. We started with characters. I talked about how characters are created and the participants created their own characters, based on a picture of a rather hideous looking old man. They then needed to create a world for that character to live in, so they wrote a travel-brochure style piece, selling an imaginary country. No story is complete without an event, so I talked about the different kinds of plots that writers use. I then gave participants pictures from a calendar I got with a newspaper three years ago, which told the story of significant news events in pictures. I’d removed all evidence of what the events were, and asked the participants to come up with a caption for the picture. I rounded off the workshop by asking them to write about a significant news event that they remembered from their youth. I have no idea what ultimate outcome this workshop will have. I hope it will plant the seeds of stories in the participants, and they will work on them in their own time. Certainly, it was gratifying to feel the levels of confidence and enthusiasm rising as the morning went on. If you’re in the Waterford area, and what you’ve read has whetted your appetite, I have two workshops left in the series. Click here to find out more. I received a notice recently, letting me know about a local short story competition that was taking place. Around the same time last year, the organisers of that competition rang me to ask if I would judge it. A chance to read stories? I certainly wasn’t going to turn that down. It was my second time judging a competition; the first one was in association with a local radio programme. When judges announce the winners of competitions, they always start by saying what a close run thing it was. From my experiences, this isn’t strictly true. In both cases, I knew who the winner was straight away. Here are the ingredients that I believe winning stories have, and they also apply to other writing forms. Most competitions cater to a specific form of writing: poems, short stories, plays. If you want to reach the final stages, your entry must show an understanding of the conventions of the form you have chosen. For example, a short story must be a complete story in itself, based on a central event. I disqualified stories which read like the start of a novel, or an extended character sketch, even though they were very promising. You do need to get on with telling a story, but the most rewarding stories I judged were the ones that didn’t spell everything out, the ones that made you work a little bit to grasp their message. Stories like this have a greater emotional impact, and linger in the mind for longer. They also show great writing skill, as the author uses images and dialogue to make their point. Winning pieces of writing demonstrate a knowledge of the techniques of good writing. For example, a winning short story will demonstrate the writer’s knowledge of characterisation, plot and setting. What’s more, the techniques don’t dominate the story; they’re woven into it with a lightness of touch which means the reader is barely aware they’re being used. You can use all the fancy techniques you like, but it’s the passion you feel for your story or poem that will help it rise to the top. Telling a story with passion makes it memorable, and that’s to your advantage when a judge is wading through dozens of entries. And when it comes down to the wire, passion will give your story the edge. When I was deciding between two stories, I eventually chose the ones which haunted me, which made me think long after I’d put them down. A passionate story or poem resonates with readers, so don’t be afraid to take emotional risks with your writing – it will reap rewards. These are my two cents worth. What do you think makes a winning piece of writing? Did you ever judge a writing competition and what did you look for? And if you entered a competition and got feedback, what insight did that feedback give you about what the judges were looking for? Writing is probably the most equal of all professions. Women can rise all the way to the top; there is no glass ceiling. The pay is equally bad for men and women writers, and women writers who get publishing deals are paid the same for their deals as men. Yet a persecution complex persists among male writers. These writers create enclaves for themselves, with all-female magazines, blogs and prizes. There are three things that particularly rouse their ire, but as a woman write myself, I believe their ire is groundless and I will tell you why. Women writers tend to feel a bit hard done by when it comes to winning the heavy-hitting literary prizes. So much so that a prize has been specially created for women writers. It’s given a different girly name depending on who’s sponsoring it, and at the moment, it’s Bailey’s. The awarding of this prize has been known to raise eyebrows, with some questioning the necessity of it. A quick look at the prizewinners of three of the world’s biggest literary prizes, the Booker, the Impac and the Nobel, justifies their view. In the past seven years, three women have won the Nobel Prize for Literature. Six out of the past 10 Booker Prizes have been awarded to women and Hilary Mantel was awarded it twice! Women don’t fare so well with the Impac, the world’s richest literary prize. Only two women have won it in 18 years. Still, women writers can take a crumb of comfort from the fact that last year’s winner, was translated by a woman. Many women writers of commercial fiction express annoyance in interviews at the trend towards packaging their books in pink covers, often with sparkles at the side, or a high heeled shoe on the front. They view that, and the accompanying chicklit tag, as an affront to their writer. ‘It’s not chicklit,’ they protest. ‘We write about issues, you know.’ They may indeed write about issues, often very skilfully, but that’s not why people read them. They read them to be swept along by a thumping good yarn, which takes them away from the daily grind for a while. And you have to be an accomplished writer to achieve that. As for the chicklit tag, it is fair to say that these books remain within female territory, with themes like relationships, raising children, the struggle to lose weight and breast cancer. There is also a fair amount of talk about clothes and beauty products, and the characters have a great love of drinks with umbrellas in them. And women lap these books up. They enjoy seeing their lives reflected on the pages. So instead of chafing at the chicklit tag, why don’t these writers take pride in the fact that they write books that people want to read, that represent real women in real ways, and that sell by the truckload. On a similar vein, there is also a feeling that when men write on family and domestic themes, they are hailed as literary heroes, while their female counterparts are dismissed with that derisory term, the aga saga. 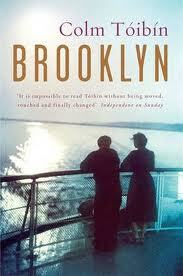 But Colm Toibin’s Brooklyn was nominated for the Booker because of its subtle characterisation and atmospheric writing, not because he’s a man. When women do write these nuanced, intimate portraits of family life, they are lauded for their efforts just as men are. Marilynne Robinson, author of Home and Gilead, has won the Pulitzer Prize, and Anne Tyler is regarded as a great American dame of letters. Underlying these hang-ups is a fear of not being taken seriously. Some writers are so affected by this that they remove all trade of gender from their author name, going by their initials instead. JK Rowling makes quite a habit of it. They feel that readers will not buy their books if they know that a woman wrote them. But readers judge books by genre, style and quality more than they do by gender. If they choose to read more writers from a particular gender, it’s more a question of taste than whether a man or a woman wrote it. Do you agree? Do you feel that women writers have these hang ups, or other ones that I haven’t covered? Are they justified in their fear of not being taken seriously? Or am I talking a load of rubbish? let the debate begin. We are swimming in a sea of information for writers and it is easy to feel as if you are drowning in it, especially with the explosion of online writing resources. That’s why writing magazines are still so valuable in the digital age. They gather together the most useful information, and that information stays still long enough for you to absorb it. You can find out about the latest market and get tips on how to improve your writing. These magazines also offer publishing opportunities to emerging and established writers. They invite contributions on the craft of writing and they also run short story and poetry competitions which give you the chance to showcase your work and receive critique from experienced writers. Here are three magazines that offer a treasure trove of resources to writers. This magazine is a meaty read, stuffed with articles about publishing markets and techniques for improving your writing. It offers information on a wide array of writing markets and is particularly useful for writers who are interested in self publishing and those who write in specific genres, such as horror or thrillers. It also offers writing competitions and the winning entry comes with a judge’s critique. You can also read interviews with top writers, to find out how they do it. Image taken from Mslexia magazine website. This magazine has a similar format to Writing, but it’s for women writers and has a more literary feel. It’s a quarterly magazine which publishes thoughtful articles on issues that particularly affect women writers, such as women of colour. It does cover the business end as well, with more practical articles on publishing and the craft of writing, with an emphasis on opportunities for women. It too runs competitions, which are judged by leading women’s writers. This magazine gave a start to a lot of young journalists who cut their teeth writing book reviews for it. It does exactly what it says on the tin and reviews all books published in Ireland. It sadly closed in 2013 but was recently revived by Wordwell Publications which publishes History Ireland. As well as giving writers the chance to submit book reviews, it also gives them an outlet for their books to be reviewed. They will review all books sent into them, which gives self published authors. You can also put yourself forward to them as a book reviewer. These magazines are available on the British and Irish markets. International readers, what magazines do you find helpful? Following on from last week’s post about what makes people attend a creative writing course, I fell to thinking about what would ensure that writing success would follow for those people, and why some of those people won’t succeed. If you’re going to succeed, there are three ingredients that you need in your toolkit if you want to go all the way as a writer. In this case, two out of three is bad, because if you’re missing one of those ingredients, chances are that you’ll fall at one of the hurdles you’ll encounter along the way. You need to have a way with words and an instinctive understanding of how they work. That way, you’ll be able to shape those words into descriptions that leap off the page. You need to be able to grasp the basic techniques of good writing, like characterisation, plot and point of view, and use those techniques to develop a unique writing voice. You’ll naturally develop an individual style that is hard to replicate. Best of all, you’ll be able to capture your passion for your story on the page, and that passion will transmit itself to the reader. You’ll know you have a hunger for writing if you feel incredibly cranky for no reason, and you realise it’s because you haven’t written in three days. You’ll be driven by a longing to tell your story, and to ensure that that story is heard. When you write, you’ll feel complete, and that you are fulfilling a higher purpose. It is this hunger that will drive you through the long stretches when nothing is happening. This is the quality that will enable you to marshal your talent and hunger and take you over the finishing line. Successful writers are focused and they are able to manage their time to ensure that they complete their writing projects. No matter what outside distractions are, they will find the time to write. They will set time aside each day to write, or if their lives are exceptionally busy, they will write wherever and whenever they can. Talent and hunger without discipline will go unfulfilled. If you have talent and time to set aside, but no hunger, you won’t make the time to write. When all three ingredients are in perfect balance, you have laid the groundwork for writing success. What are the ingredients that you think you need to succeed as a writer?